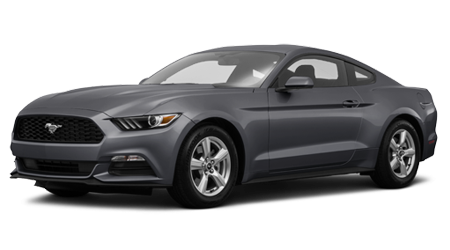 The Ford Mustang is a stylish and sporty vehicle and if you’re looking for an even better deal on one, consider purchasing a used Mustang from Woody Folsom Ford. You can save some serious cash when you go with a used option that will still give you all the benefits you are looking for. If you can imagine yourself driving a Mustang in Savannah, Valdosta, Brunswick, GA, or Jacksonville, FL, then head over to our lot to check out our selection. Mustangs are great cars that are ready for action, but they also come with standard features that you will enjoy. Built for performance, you can expect a solid engine that offers impressive horsepower no matter which model you choose. Standard features on a variety of models include power windows and door locks, center console, full armrest, USB ports, push to start, air conditioning, SYNC®, and more! If you’re thinking about purchasing a used Mustang, you may want some extra peace of mind knowing that your vehicle will last for years to come. If this sounds like you, then a Certified Pre-Owned (CPO) Ford Mustang may be exactly what you’re looking for. In order to qualify as a CPO, the Mustang must be 6-model years or newer and cannot have more than 80,000 miles on the odometer. If the vehicle fits this criterion, it must then go through a 172-point inspection by our factory-trained technicians, and they will also provide a CARFAX history report that will list any major repairs and accidents. When it comes to the warranty on a Certified Pre-Owned Ford Mustang, you won’t be disappointed. Enjoy a comprehensive 12-month/12,000-mile limited warranty that covers over 500 different parts. In addition, there is a 7-year/100,000-mile limited powertrain warranty that protects parts such as the engine and transmission. When you bring in your car to our Service Center, you will only be responsible for a $100 deductible for parts covered under these warranties. As an added bonus, you’ll get 24-hour roadside assistance and three free months of Sirius XM Satellite Radio if our vehicle is properly equipped. If you visit our Woody Folsom Ford website, you can easily determine your credit score without a credit bureau inquiry by filling out a secure form. If you prefer to apply for pre-approval, you are also welcome to fill out a credit application that will let you know exactly what you qualify for. Our finance department works with a variety of lenders and will work hard to get you approved for a used Mustang. Whether you’re in Savannah, Valdosta, Brunswick, GA don’t miss your chance to get your hands on a used Ford Mustang. Our courteous sales professionals are eager to assist you with your purchase, so visit us at Woody Folsom Ford right away!